Always I like experimenting with various adverting services on offer to see where I can optimize the return on my investments. After a very good recommendation from a "friend" who assured me they were making in excess of $20 per month, I started using Infolinks two months ago. Normally, I give adverts a "grace period" of two months to monitor how well they will perform and how fast I can recoup my investment. But I gave Infolinks two months based on the good recommendation from my blogger friend. Infolinks are ubiquitous and annoying to most readers. Besides, tey are not contextual in the true sense like Adsense and show users lots of rubbish. After two months, it has earned me $1.72 while the two Adsense banners on the same blog have earned me €30(about $42). 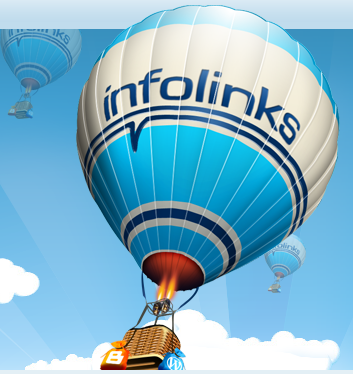 So Infolinks will go and Adsense,the mighty Adsense will remain. If you're looking for an excellent contextual ad network, I suggest you take a look at Chitika.